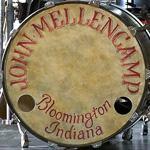 John Mellencamp Community > MELLENCAMP.COM ANNOUNCEMENTS > Ticket & Tour Questions > Pricing for 2019 tour? What will be the prices for tix for the 2019 tour? I did see the prices for the 2 different levels of premium packages. Re: Pricing for 2019 tour? Springsteen, what were those prices you saw for the two levels of premium packages? I never like to be surprised at the last minute when logging in to buy on presale day!